WD is proud to announce that our company is listed in the Top 5 Best Places to Work from the OC Business Journal. What makes us stand out? 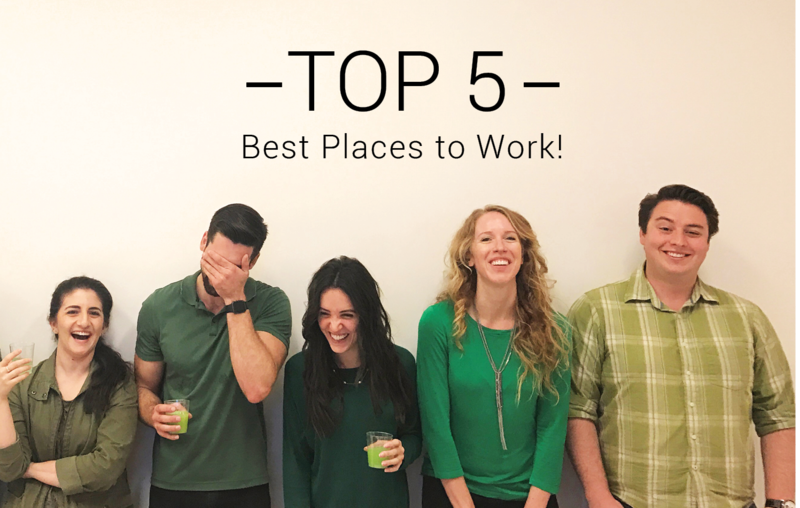 Team spirit, happy employees, and projects we are passionate about! Here at Westgroup Designs, we design experiences that positively affect the way people live, creating memorable experiences with innovative and out-of-the-box design. We have a team that supports and encourages one another, making each day at WD a fun one! Our office culture, love of collaboration, and passion for our work is taking us places. Great things happen when you love what you do! Best Places to Work in Orange County is a survey competition that determines the best employers in the area. Managed by Best Companies Group (BCG) and published in the Orange County Business Journal, 2017.